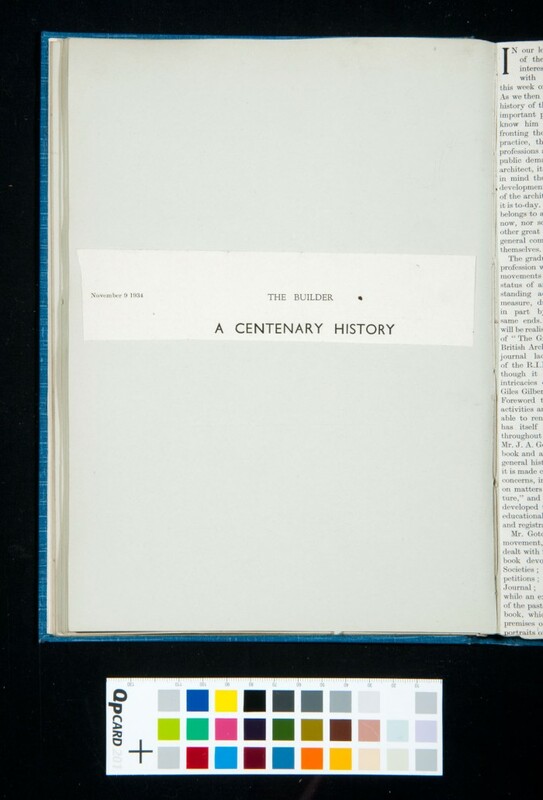 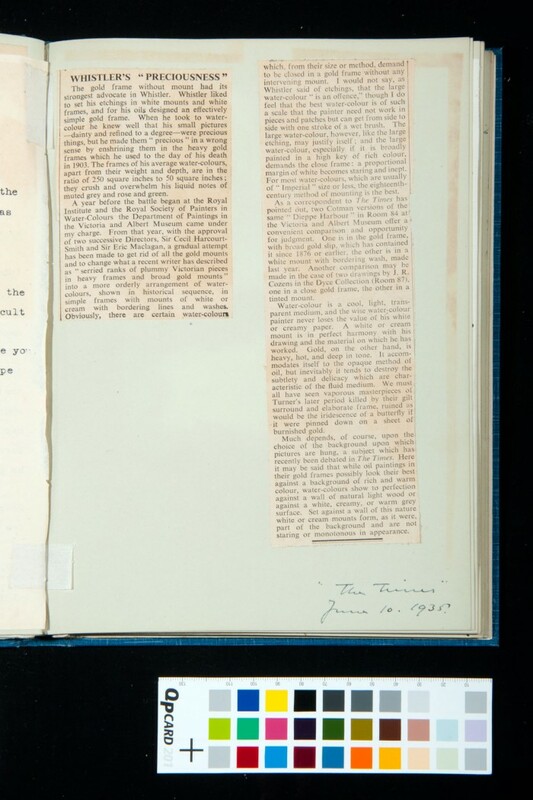 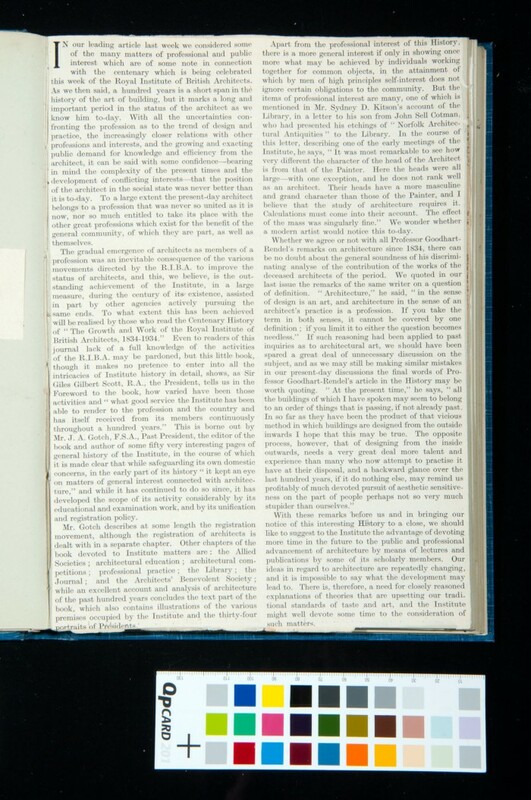 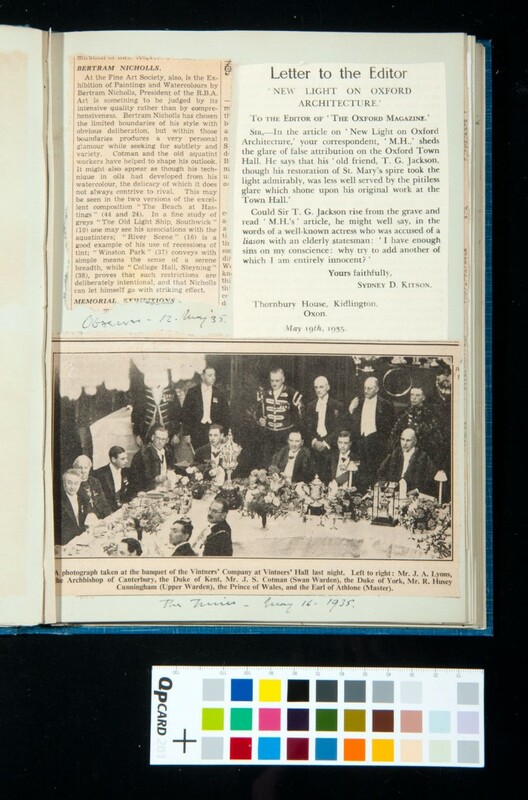 The volume is composed of a mixture of press cuttings, ranging from the centenary of the Royal Institute of British Architect (RIBA) in 1934, to articles on arts news generally. 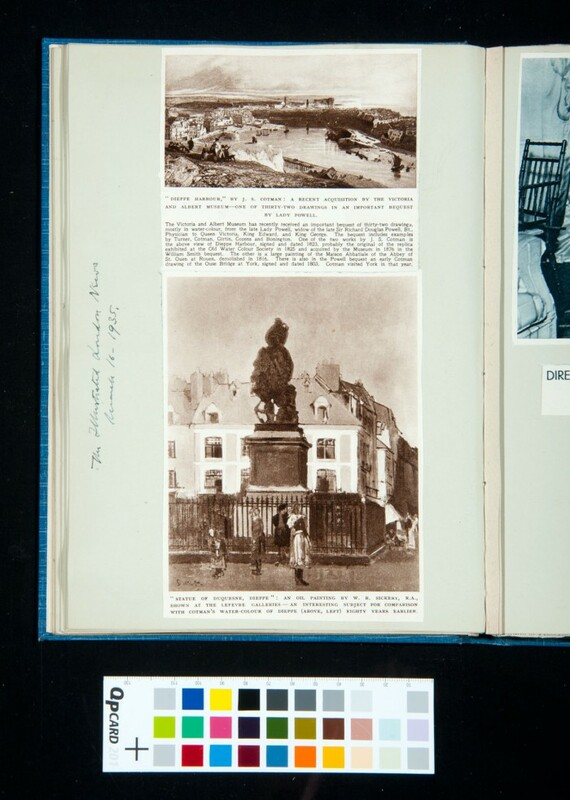 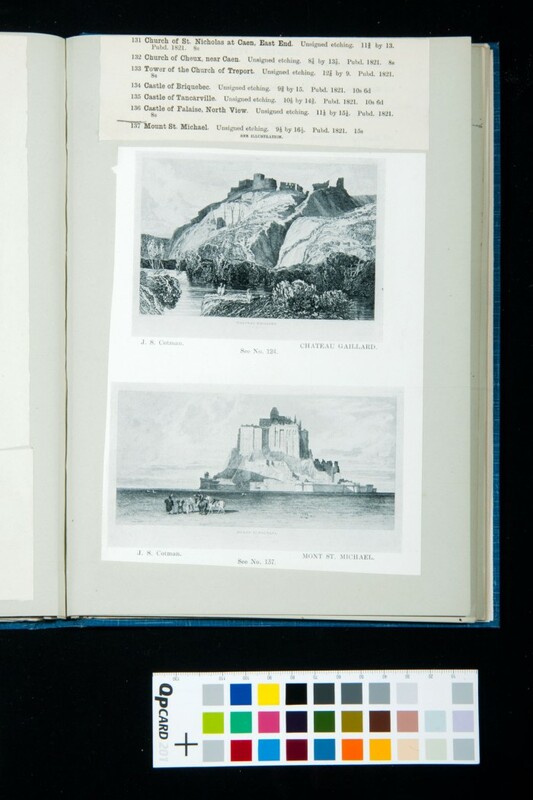 There are catalogues of exhibitions including the 15th Annual Watercolour Exhibition in 1935, and a list of John Sell Cotman’s etchings from his Architectural Antiquities in Normandy series, for sale by art dealer F.R. 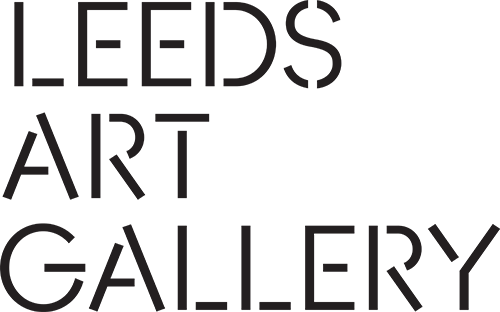 Meatyard. 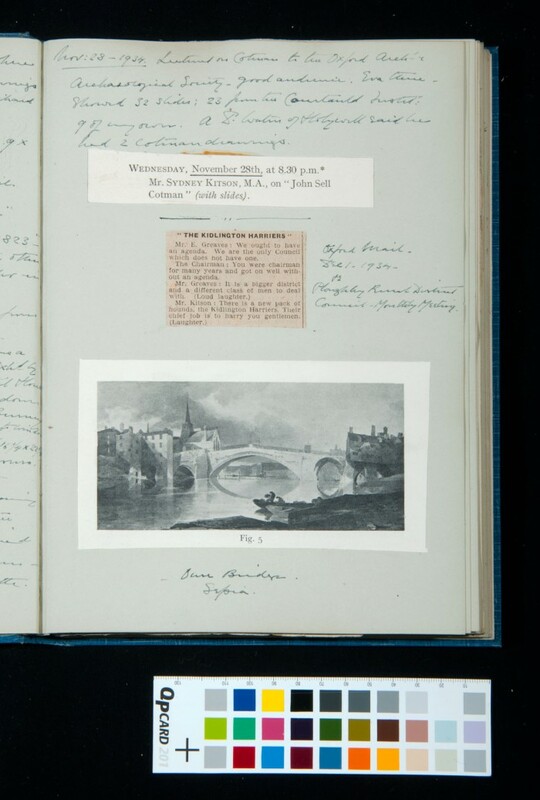 Articles on the RIBA discuss the growth and significance of architecture, with Cotman quoted in The Builder from a letter to his son following an early meeting of the Institute, ‘it was most remarkable to see how very different the character of the head of the Architect is from that of the Painter’. 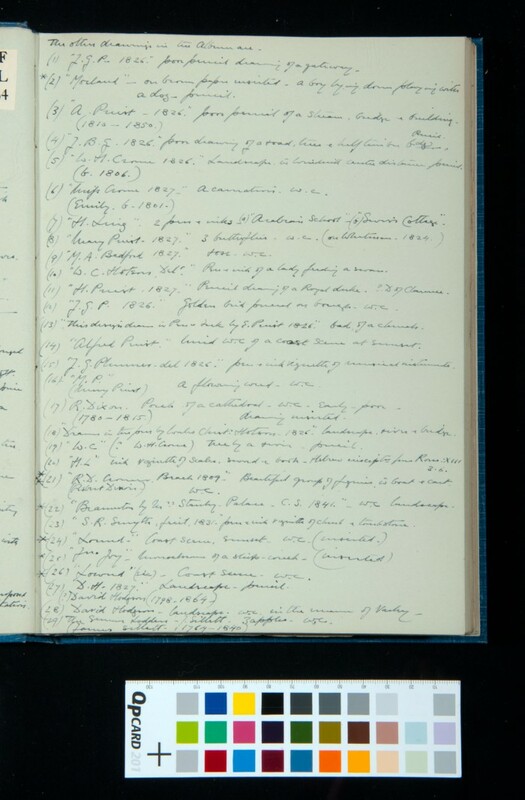 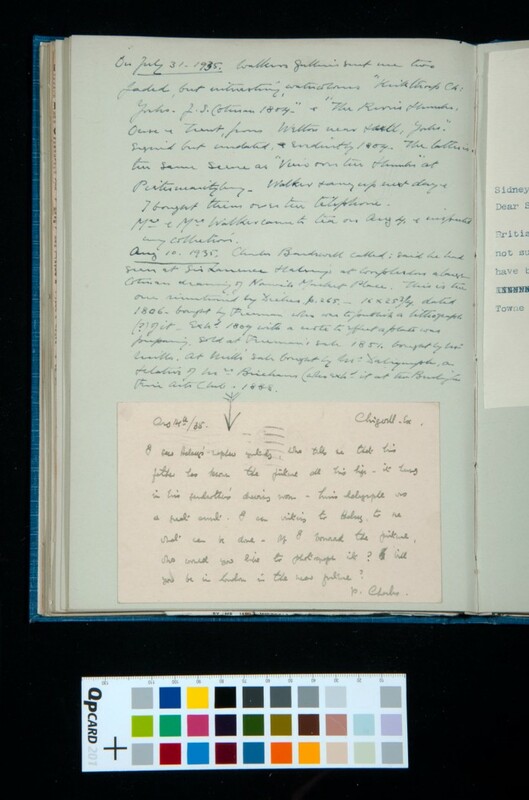 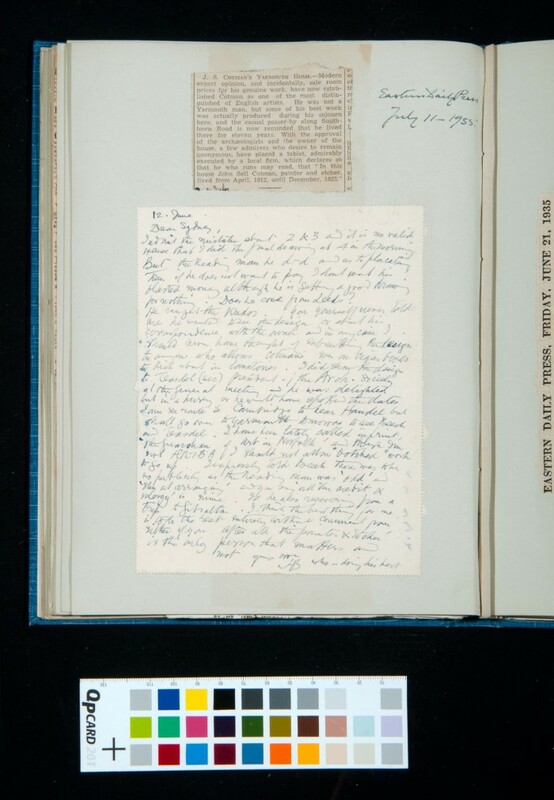 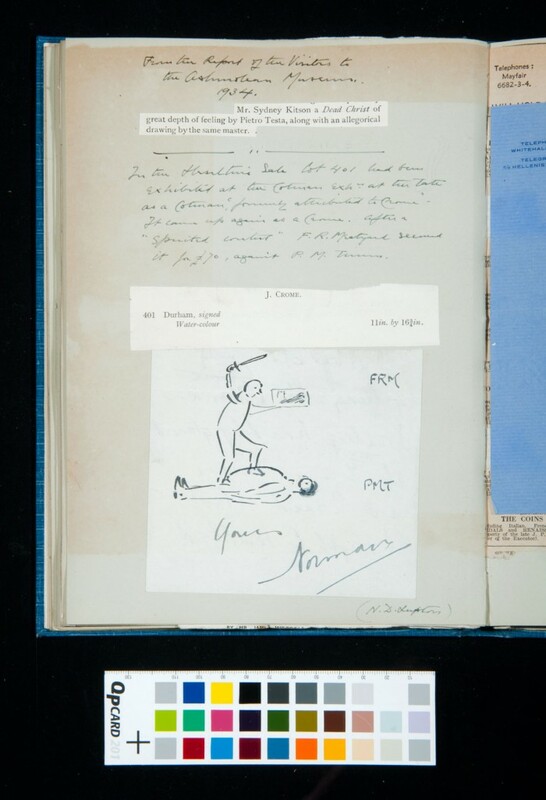 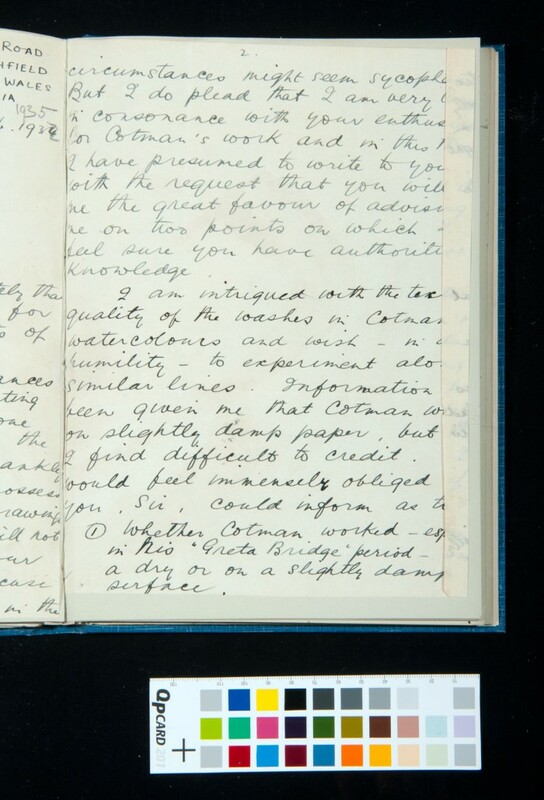 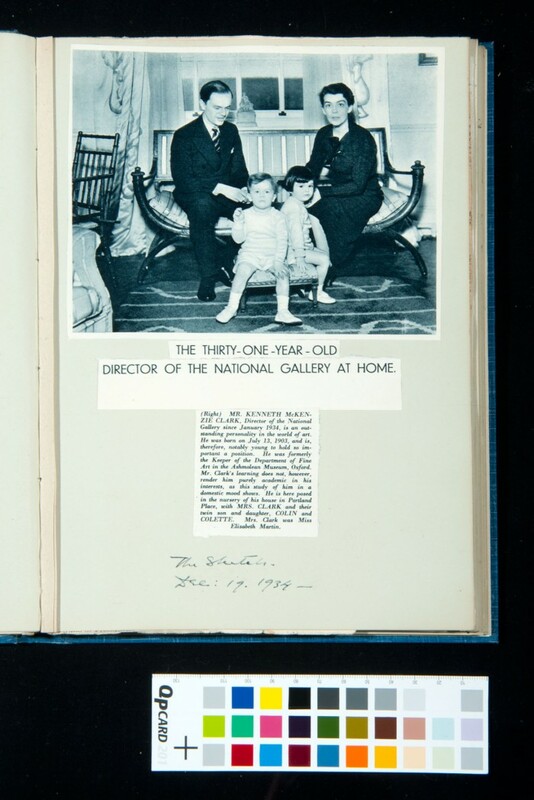 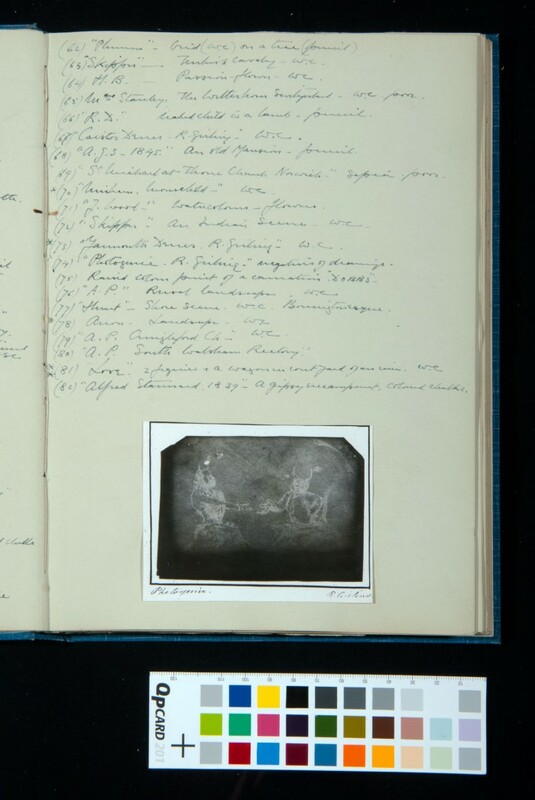 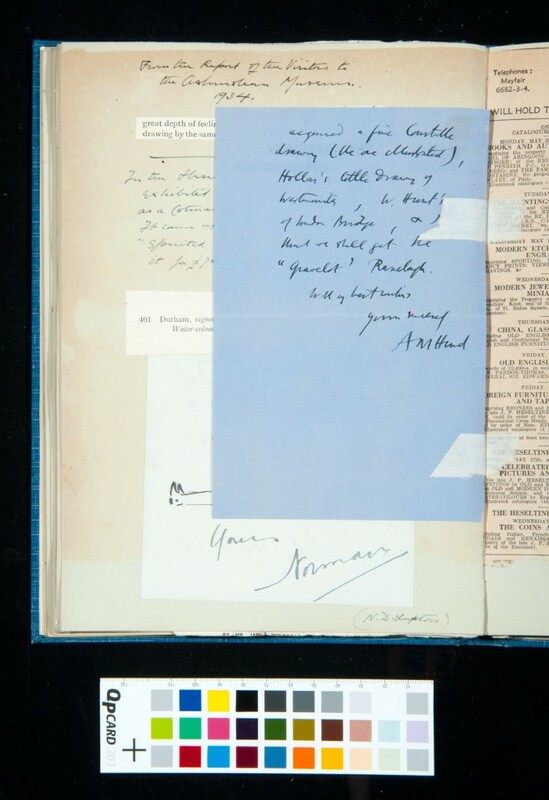 The volume contains correspondence from Kitson’s connections with art galleries including Curator Martin Hardie at the V&A, along with correspondence from Kitson’s wider network. There are articles by Martin Hardie on the change in attitudes on framing a watercolour, and discussing watercolour techniques, stating Cotman would have seemed ‘modern’ to his contemporaries. 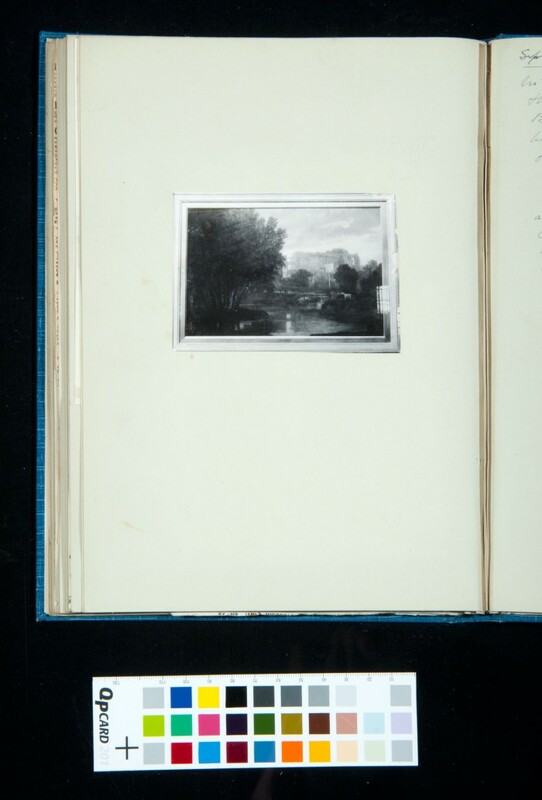 Kitson refers to exhibitions during 1934-35 which displayed Cotman works, and throughout the volume Kitson references Cotman’s contemporaries, for example the sale of a John Crome painting ‘Durham’ formerly attributed to Cotman. 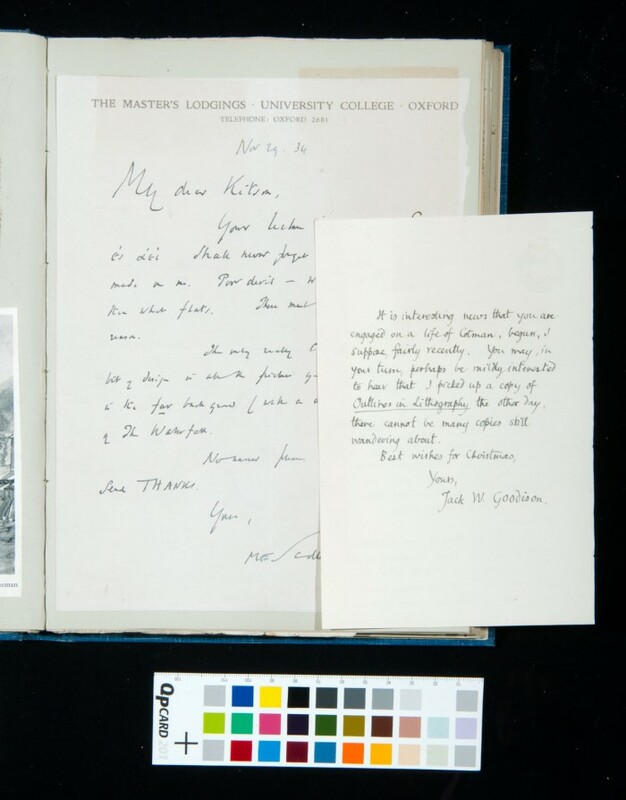 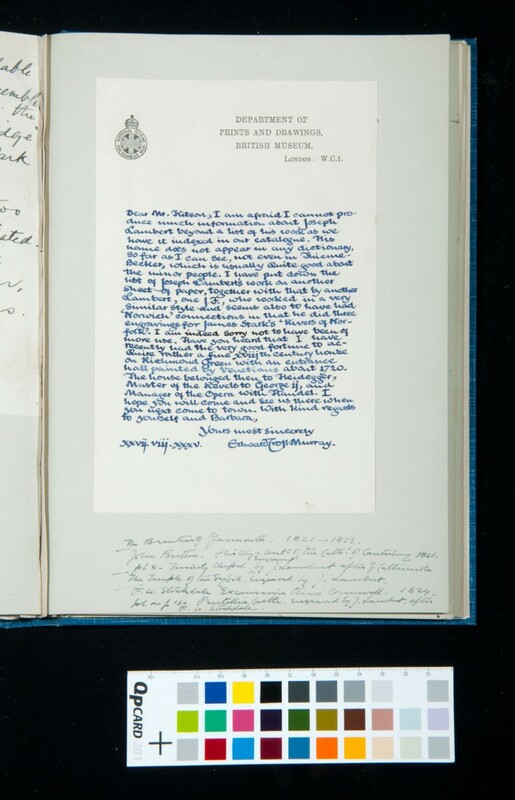 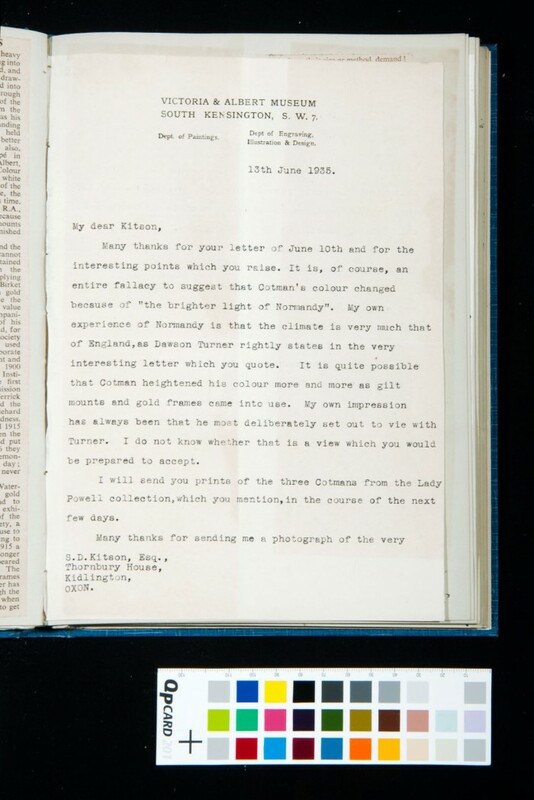 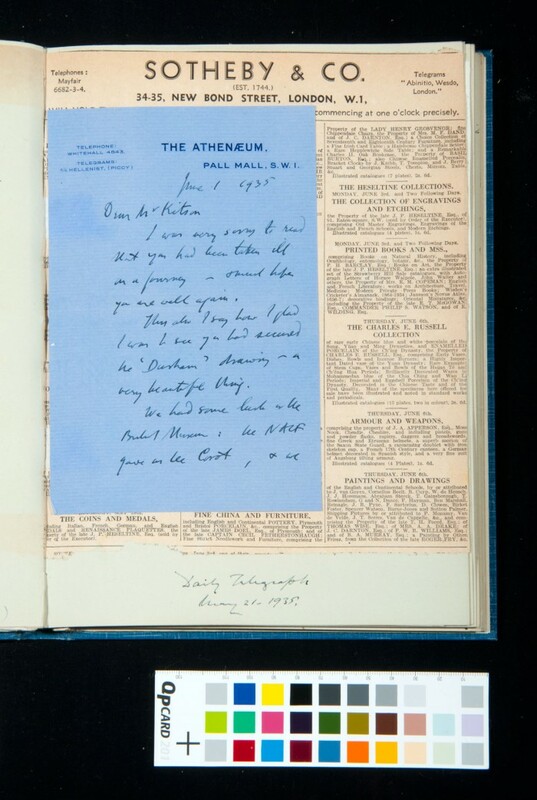 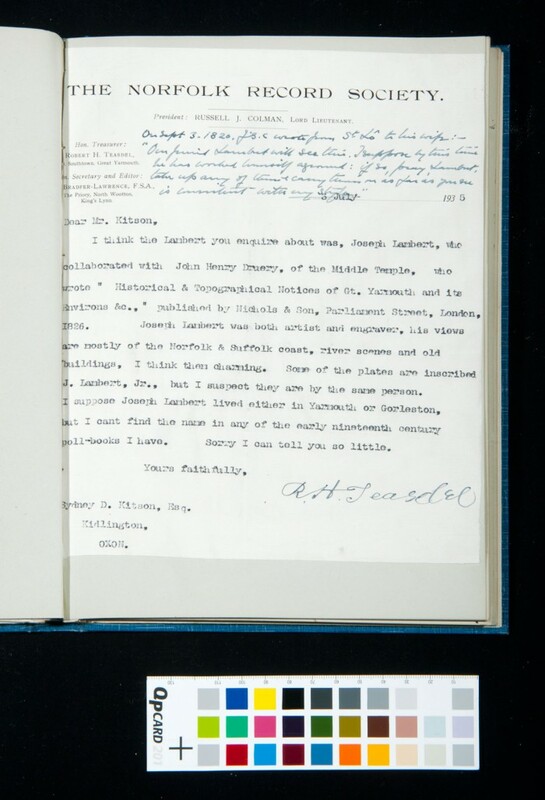 Letter to Sydney Kitson from The Athenaeum. 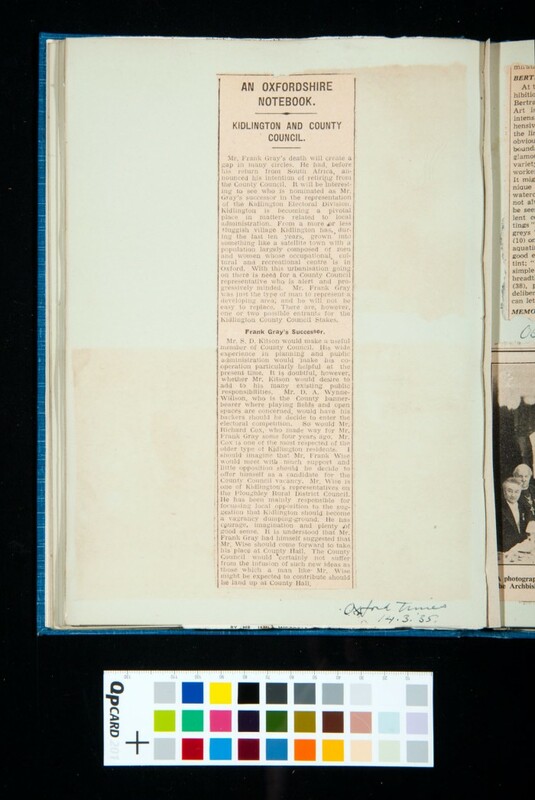 Press cutting of an article discussing watercolours and framing by Martin Hardie, Keeper of the Department of Prints and Drawings at the V&A museum. 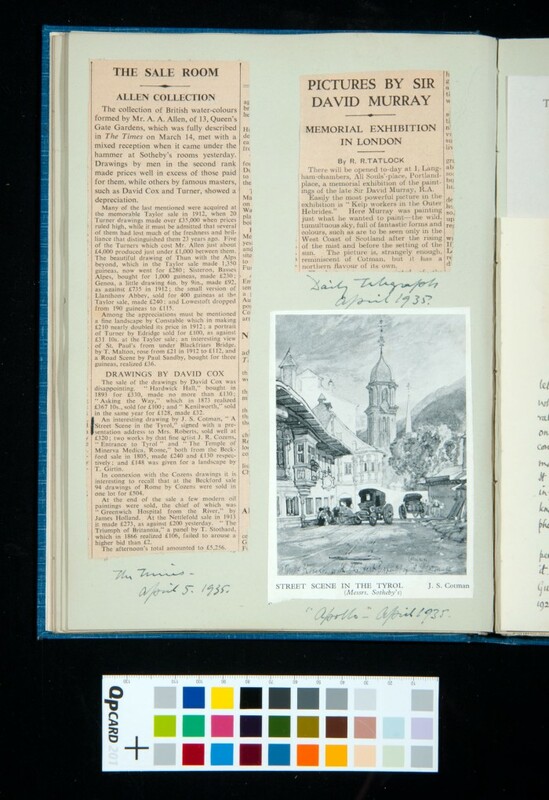 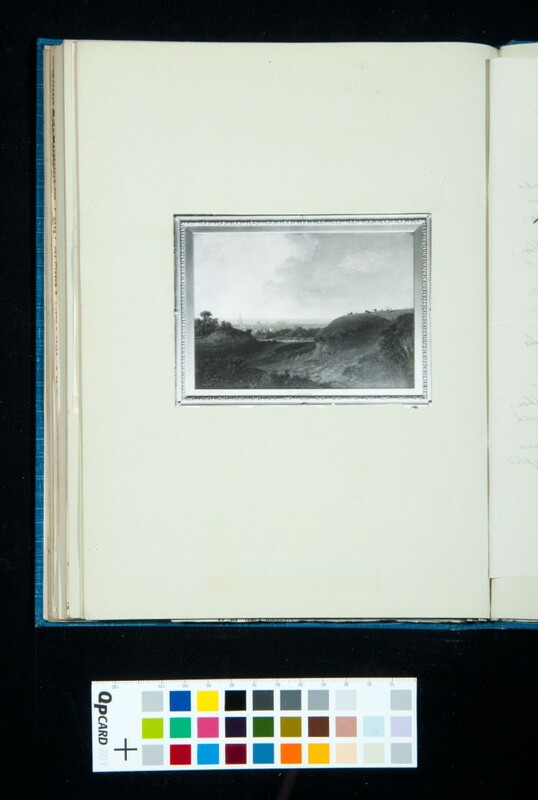 Photograph of a painting - possibly Cotman's "Norwich from the Gravel Pits"
4 Newspaper articles about the Winchester Art Club's 15th Water Colour Exhibition. Auction list of two of Robert Hawthorn Kitson's paintings. 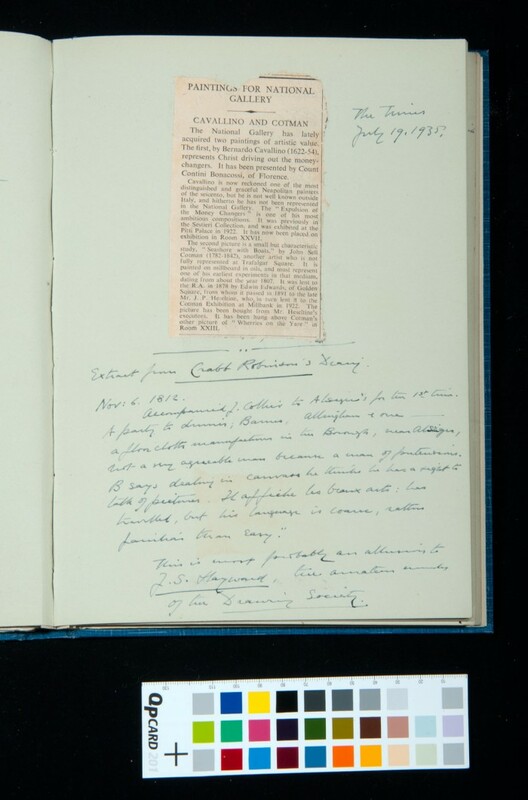 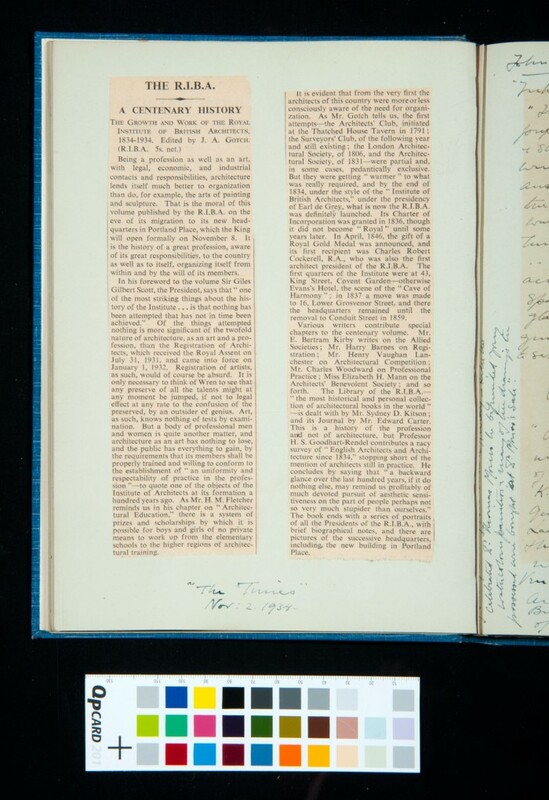 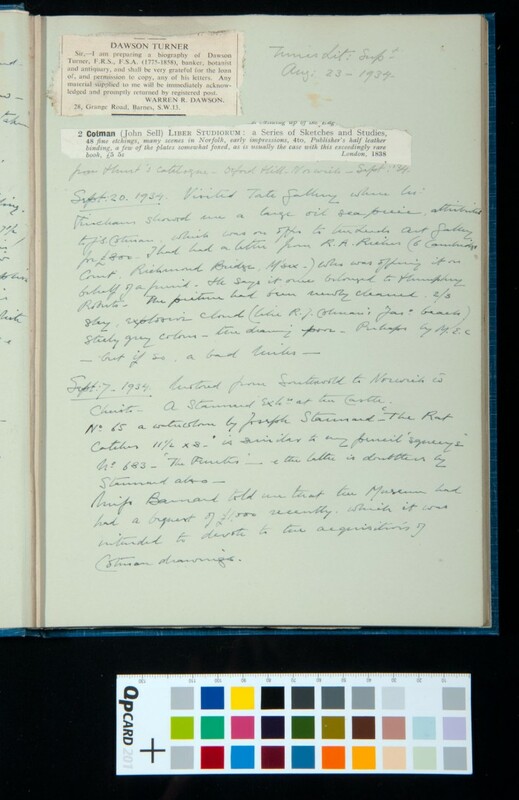 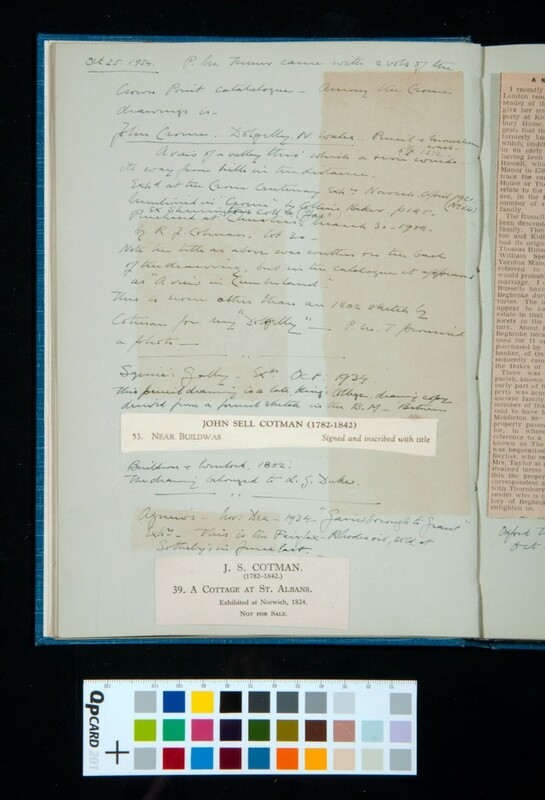 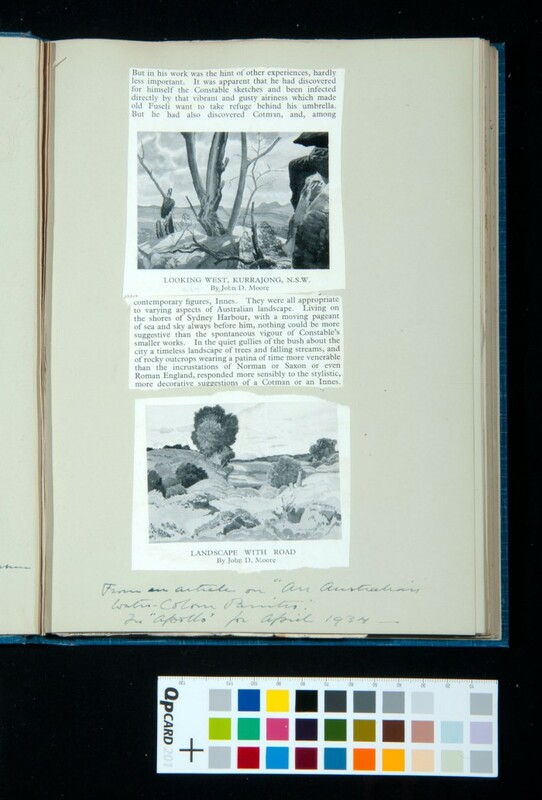 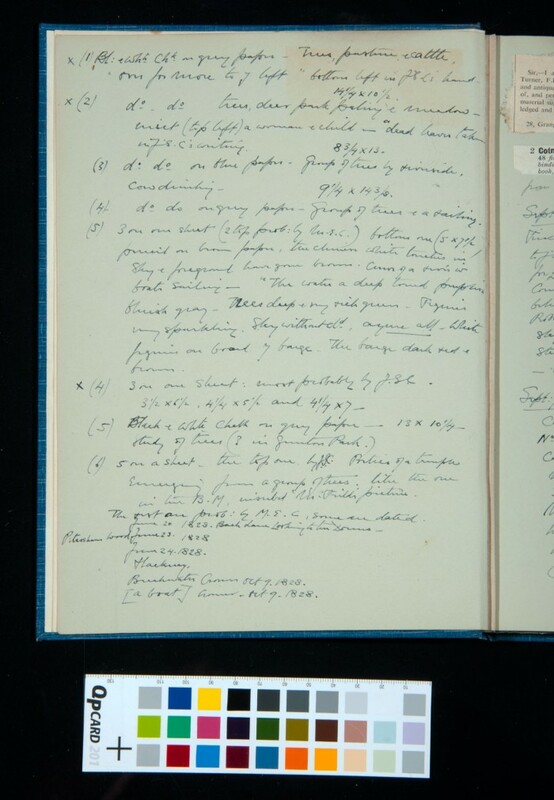 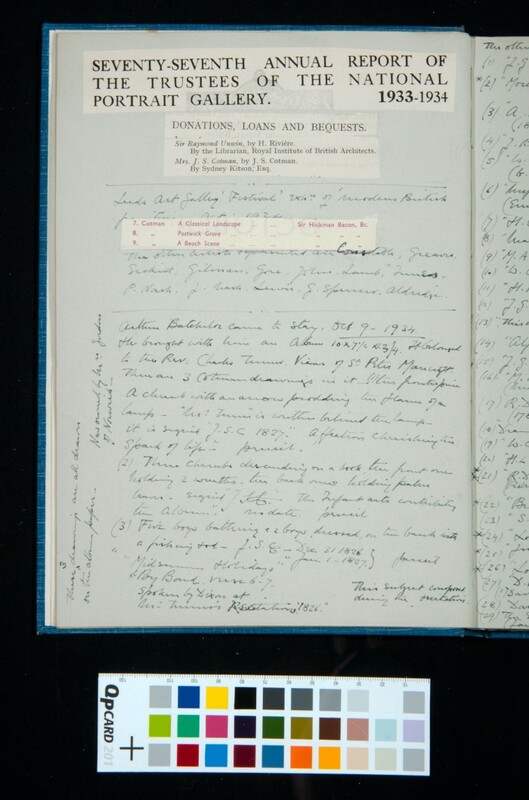 Information that Kitson has found about the provenance of the Lots in the sale of the Hesseltine collection, including quotes from Paul Oppe and mr Hunt. Auction clippings of some of the paintings referenced on the previous page, with how much they sold for and who to.